Quick blog post to journal my experience replacing the upper screen on a Nintendo 3DS XL. 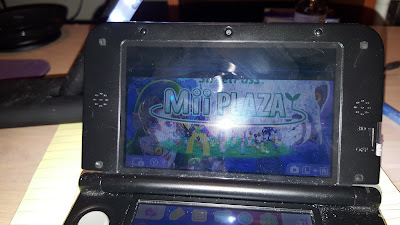 The 3DS worked fine but the top 1/3 of the screen was black. The owner said it hadn't been dropped so I had no idea if it was damaged, defective or what. There is some chance the connector was loose but usually the screen just needs to be replaced. I won't write step by step instructions, because I found this page that does an excellent (not perfect) job with pictures and steps. Generally I think this is the most difficult 3DS repair that there is. You need a magnifier, strong light, tweezers and patience. 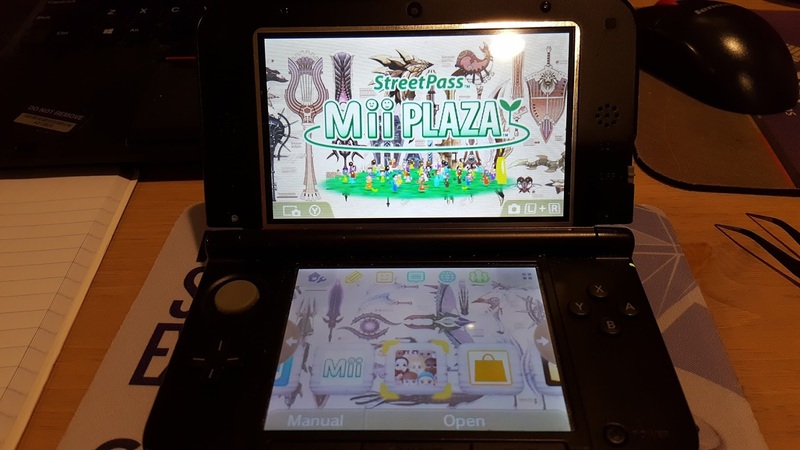 You have to completely dissasemble the 3DS. You have to open the top section to replace the screen, but you also have to totally take apart the bottom section and remove the motherboard to get to the connector. The hardest thing is to thread the new ribbon cable through the hinge. I did this by rolling it up and pushing it through and then unrolling it, using tweezers. The guide doesn't give you any help in how to do this. There are lots of tiny ribbon cables that have to be removed from there clamp connectors and re-attached later. The plastic case and covers has some tricky clip and snap nibs, as well as the top section parts fall all over the place when you open it. All that said, I did it! You probably can too, but this is not for first time amateurs unless your DS is headed for the trash bin anyway, then what the heck, do it! The replacement screen was not too expensive... I bought this one from Amazon. It came quickly and fit. So if you fail, you only lost $20. Note that the screen has a silver edge, not the black bezel that the original did, so it looks different when you are done. Check by before and after pictures to see what I mean. Also the glass looks a bit different than the original. There were cheaper ones, but this one was shipped from US and didn't look like too sketchy a source. Dissasembly and re-assembly took me a couple hours. As I said the hardest part was the large ribbon cable that has to go through the hinge, there is another cable also going through already so it ain't easy. The first pass through I had some trouble with the top shell, getting the 3D slider in right and getting all the clips back on the cover. I had squashed them a bit a first and it wouldn't close right. I replaced the screw covers with squares of black electrical tape, prying them out damaged them and they didn't look right afterwards. When it was all together, I turned it on and FAIL. Screens flickered but stayed black. Power light came on but no display. Aaargh. Opened the bottom and reseated the ribbons I could reach without removing the mobo, and then found the issue by accident. I had installed the snap in IR module upside down. Check the pictures, it will go on either way. Once it was turned around, the system booted and the displays came on. Win... almost. The system froze every time i entered an application. Opened it again, and reseated the WiFi module. This is a common reason that 3DS freeze. Looks like in the last round of fiddling and removing the cover, it was not seated properly. Once it was snapped down tight everything started working. Win... Woot....! Here is the system working. Note the sliver bezel around the upper display, the only sign that this has been repaired.